It was a busy day at the final meeting of the year for the University of North Carolina’s Board of Governors meeting. A half-dozen group of student and faculty protesters disrupted Friday’s meeting with their objections to the selection of Margaret Spellings as the next UNC president, according to WRAL. Spellings served as President George W. Bush’s education secretary, and some have questioned her ties to for-profit higher education companies. Friday’s meeting was also the final board meeting for UNC President Tom Ross. Junius Gonzales, the system’s senior vice-president of academic affairs, was selected to serve as the interim president until Spellings arrives in North Carolina in March to take over as president. 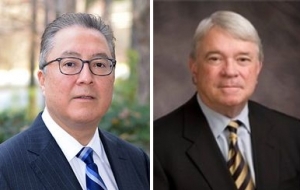 Gonzales, a psychiatrist who came to the UNC system last year after working at the University of Texas at El Paso, will take on the interim president role on Jan. 4, the day after Ross’ officially leaves, according to a news release from the UNC system. The UNC board also chose its new chair, Louis Bissette, an Asheville attorney. Bissette, the vice-chair for the board, had stepped in after John Fennebresque resigned his position and left the board days after Spellings was hired. To read more about Friday’s meeting, and the Spellings protests, read this piece by WRAL’s Mark Binker, or this account by the News & Observer. Earlier this week, the McCrory administration announced what seemed to be a big win for the state – Corning Optical Communications is moving its headquarters to Charlotte, bringing 650 people to work in the area. The fiber optic cable manufacturing company ‘s new headquarters will have space for 150 new workers, a designation that makes the company eligible for $2.35 million over the next 12 years from the state’s Job Development Investment Grant (JDIG) program. Gov. Pat McCrory and John Skvarla, McCrory’s commerce secretary, trumpeted the move in a press release sent out earlier this week. “Today’s announcement builds on the solid foundation this innovative company has in our state, and I am proud we emerged as the top choice for this important headquarters and the new jobs that come with it,” McCrory said, in a written statement released by his office Tuesday. But not mentioned in the press release from the McCrory administration is that 500 of the 650 jobs are coming to Charlotte from an hour away – in Hickory. “We’re very disappointed,” said Rudy Wright, the Hickory mayor, about the loss of several hundred high-paying jobs from his community of 40,000 in the foothills of the Blue Ridge Mountains. Wright said his city had tried to keep the jobs in Catawba County, putting together what he described as a “tremendous offer.” He heard the company was also considering moving to South Carolina, and found out this week the jobs would soon be leaving Hickory. Wright declined to specify what Hickory’s offer was, saying that publicizing that information would put the city at a disadvantage when negotiating future economic development deals. Corning will still maintain a manufacturing plant in Hickory, where more than 1,000 people are employed. But the move of so many to a new headquarters will be tough for Hickory. The move by Corning to Charlotte to Hickory highlights one of the bigger issues the state faces in its economic recovery. The state’s bustling urban centers, based in Charlotte and Raleigh, have steadily rebounded from the Recession while those in other metro or rural areas of the state have struggled to attract new employers. Wright said he hopes to see those jobs replaced soon, and is focused on looking forward instead of getting upset about the company’s selection of Charlotte over Hickory. “We accept the hand that is dealt,” he said. There’s some more shakeup in the state legislature, with today’s announcement by powerful state Sen. Tom Apodaca that he won’t run again. Apodaca, a Hendersonville Republican, told the Charlotte Observer that he was ready to leave the politics, given the changes the state has seen since Republicans took over both houses of the state legislature in 2010. As the chairman of the Senate Rules Committee, he had the ability to decide which pieces of legislation made it to the floor for a vote, and which would languish. 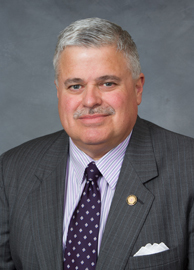 N.C. Senate President Pro-Tem Phil Berger, in a statement released Monday, said Apodaca had been a key figure in bringing the agendas of the Republican senate caucus to fruition. Apodaca’s announcement comes after state Sen. Bob Rucho, another prominent Republican in a leadership position, announced in early November he was stepping away from the legislature. With Apodaca’s announcement today, a total of 13 lawmakers have said they won’t seek re-election in 2016 though many will stay on for the 2016 short session which begins in the spring. Meanwhile, in Gov. Pat McCrory’s administration, there have been several end-of-year departures announcements as well. Chief Information Officer Chris Estes announced last week he was leaving his state government post overseeing the state’s technology systems to return to the private sector. Dale Folwell, a former lawmaker, is stepping down from leading the state’s unemployment insurance system and is considering a run for the state treasurer office. The governing board of the state’s public university system decided Friday to hand over audio recordings and documents to legislative leaders from a closed-door discussion last month raising the pay of a dozen chancellors. Friday’s meeting of the university system’s Board of Governors was called in order to deal with a request from Republicans state Senate leader Phil Berger and N.C. House Speaker Tim Moore for details on whether the board complied with open meeting laws when it decided to raise the pay for 12 of the system’s 17 chancellors. UNC officials have also been called to appear at a Nov. 18 legislative hearing, to discuss open meeting concerns over the Oct. 30 vote. On Friday, several board members made vague references to the October closed session discussion, saying discussions had been robust and the votes for pay raises close. N.C. Policy Watch, and several other media outlets, has requested details about the votes, but no information has been released. Friday’s meeting also included a request by acting chair Lou Bissette for a briefing at the board’s December meeting about its requirements under the state’s open meeting and public record laws. Bissette said Friday he would release a summary of the closed-session vote to offer more information about what transpired. Members of the state’ public university governing board also aired some of their differences Friday with each other and lawmakers. Joe Knott, a Raleigh board member appointed this summer, said he was wary of interference from the political forces at the legislature and feared a “dangerous precedent” could be set by acquiescing to the lawmaker’s requests. In his comments, Knott then said that a lawmaker pressured former UNC Board Chair John Fennebresque to favor a particular candidate in the search for a new president. Knott, when asked by reporters, would not provide details about how he obtained that information, nor the name of the lawmaker allegedly involved. Fennebresque, whose leadership of the board was marked by discord, resigned days after former U.S. Education Secretary Margaret Spellings was hired in mid-October. Thom Goolsby, a Wilmington attorney and board member who previously served in the state Senate, said he has not faced any pressure from his former colleagues. “Nobody told me who I should vote for,” he said. He also added that he welcomed scrutiny from lawmakers. The UNC Board of Governors consists of 32 members, all of whom received their appointments from the state legislature. “They should be looking at us,” Goolsby said. Marty Kotis, another board member from Greensboro, said he objected to Knott’s allegations, and that the board has the duty to act in a transparent manner with lawmakers as well as the public as a whole.